A little while ago today. . . 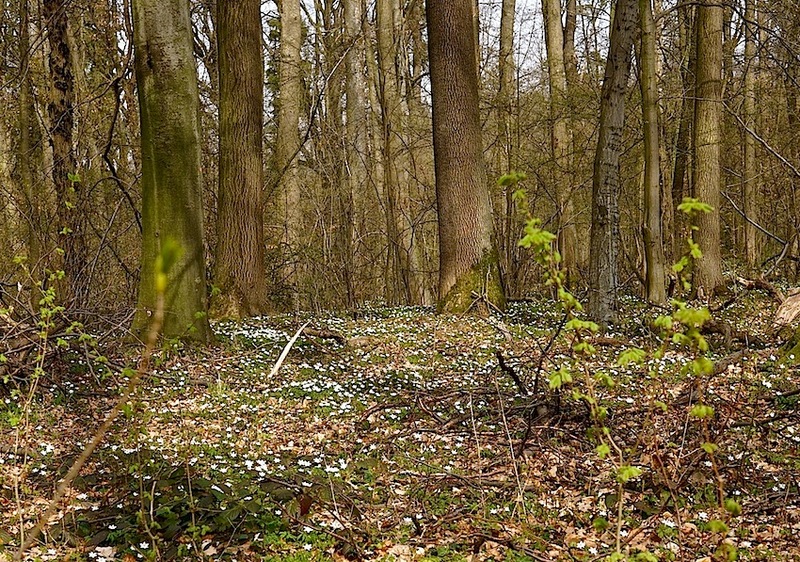 The forest behind our house carpeted in wood anemones or Anemone nemorosa, a small white flower native to Germany. I just noticed that little black bug on the flower petal. It looks like a tick. I feel itchy now. . . . 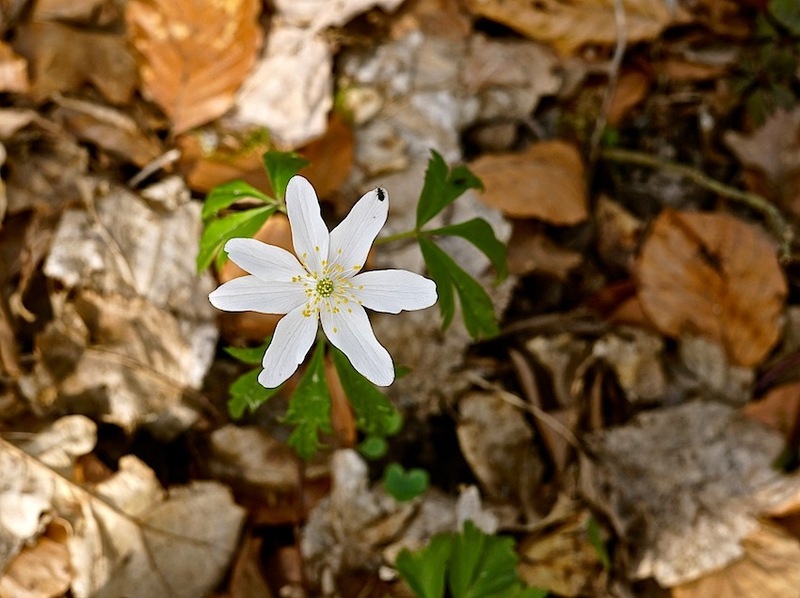 I remember the happiness that anemones bring carpeting the grounds in the first days of spring! It’s so different than where I am now in South Europe! I’m looking forward to seeing so many native plants that are “exotic” to me in Washington, D.C. There, I would hope to see mayapples in the woods (if the deer had left them). love that you thought to share these, thank you. i can hear your leaves rustle. 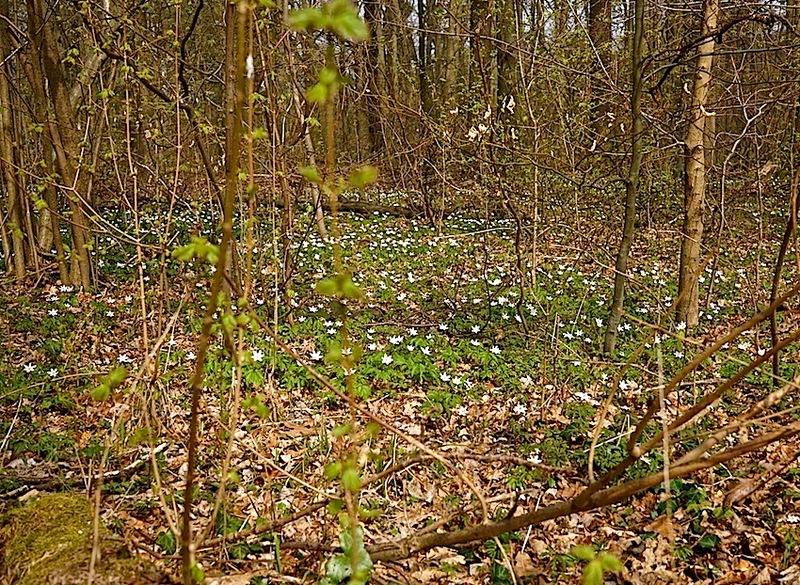 It will be wonderful to watch these woods, so close to our back door, change throughout the year.